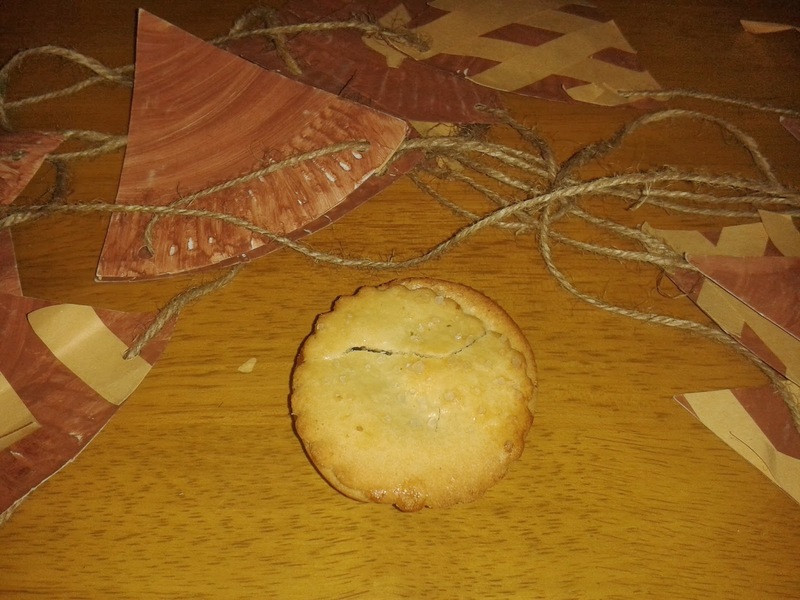 These Marks and Spencer Mince Pies feature in our '12 Pies of Christmas' video! However the first impression I got when opening up the box of pies was that M&S seemed to be trying a bit too hard to make out these are hand crafted pies. For not only was this mentioned on the label in shiny, golden lettering, but every single pie out of the 8 I bought had the lid on wonkily. Now, I'm not going to argue that someone making pies by hand might put a lid or two on wonkily - just due to human nature and trying to get all these pies made before Christmas - but I find it hard to believe that the staff at M&S are so bad at making pies that they couldn't even get 1 of the 8 pies to have a lid that actually attached correctly! It's as if... dare I say it... the lids of these pies were intentionally put on wonkily to highlight the fact they are "hand crafted" rather than put on immaculately by a machine! Hmmm... I guess we will never know! But anyways, whether they were accidentally or intentionally put on wonkily, they were some of the worst condition pie lids I'd ever seen and were not satisfactory for a top score when it comes to condition. The pie itself was a nice colour, though could have been a little more golden. Upon biting into the pie however, I was a lot more satisfied with this pie. The pastry, while too easily crumbling in my opinion, did taste delicious and was both crisp and firm. You could really taste the buttery flavour and the pastry complimented the fruity filling perfectly. The content gave a top, fruity flavouring, probably the best tasting mince pie filling I'd had. The full filling was mincemeat "packed with vine fruits, kirch soaked glace cherries, roasted almonds and armagnac." It was so moist and flavoursome and provided a striking, yet complimentary, contrast to the crisp pastry. You could really taste that you were getting one of your five a day here, rather than just some mincey, fruit goo leftovers. The capacity however was a bit disappointing, with several air gaps in the pie. Overall, I would say that this was one of the nicest tasting mince pies I'd eaten - fresh and fruity, with crisp buttery pastry. 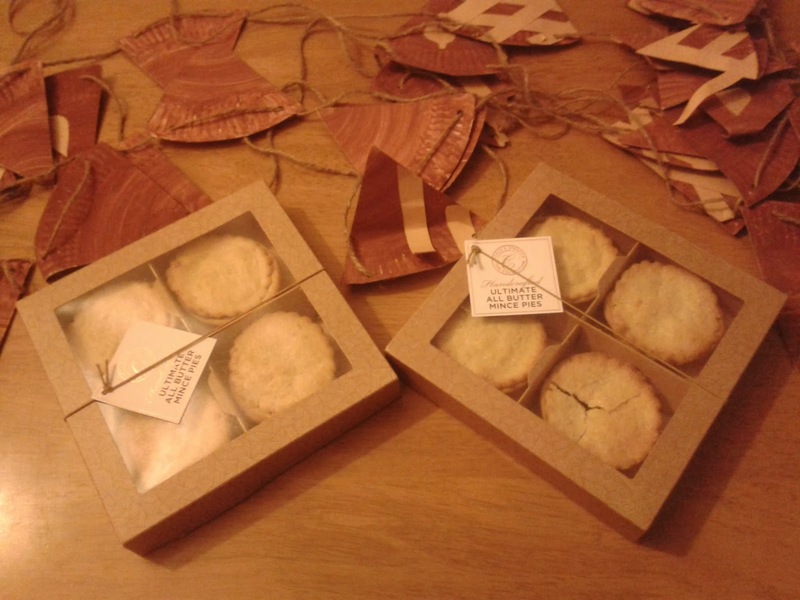 However the capacity was slightly lacking and I think most people could produce hand crafted pies in a lot better condition than these ones were presented in. However the biggest issue I have with these pies is the cheapness - for at £1 each these were the most expensive pies outside of the Harrods and Fortnum & Mason superstores. And while you were at least getting a full sized mince pie for your £1 (rather than the pound-a-pie mini mince pies produced by some stores) I still didn't feel it was twice, three or five times better than some of the other pies I've eaten for far less money. 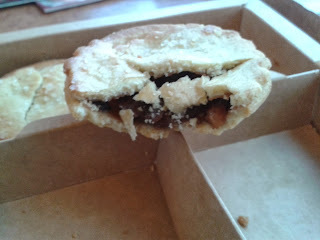 So ultimately, are these the best mince pies I've ever rated? I'm afraid not. In summary, I'd happily eat again, but would think twice about forking out £1 a pie for these, when there are other nice mince pies for a fraction of the price. Additional note: It must also be noted that unfortunately these pies are ridiculously hard to get hold of. Considering they are supposed to be the "Ultimate" mince pies that Marks and Spencer sell, I was thoroughly disappointed that not only was I unable to get hold of any in the huge Birmingham High Street city centre store but also that they had no idea if they would be getting a new delivery in before Christmas. In the end I had to travel down from Birmingham to London to obtain a second box of these pies for my '12 Pies of Christmas' video, which I think is pretty unacceptable but I hope at least highlights the lengths the Pierateers are willing to go to provide the pie fans with the pie reviews they crave. Here's hoping that in the future Marks and Spencer do a better job of getting their pies to the people!